This little guy is the Maddox pattern from Rebecca Danger. I reduced the size by a third. Although by this picture it looks like two thirds. He is made from my handspun yarn. I used wool to embroider the teeth and did french knots for the eyes because he is a gift for a baby. Knitting on circular needles using the ‘magic loop’ method results in a noticeable run of wider stitches. I intended for that to be his back but then decided to run some yarn vertically through that to give him an interesting ‘scar’ on his face. 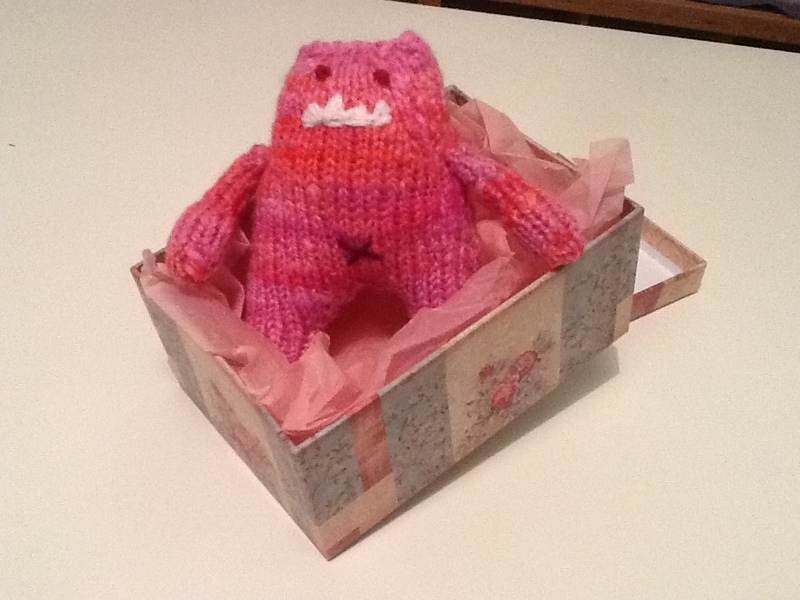 Here he is getting ready to get safely packed away into the gift box. 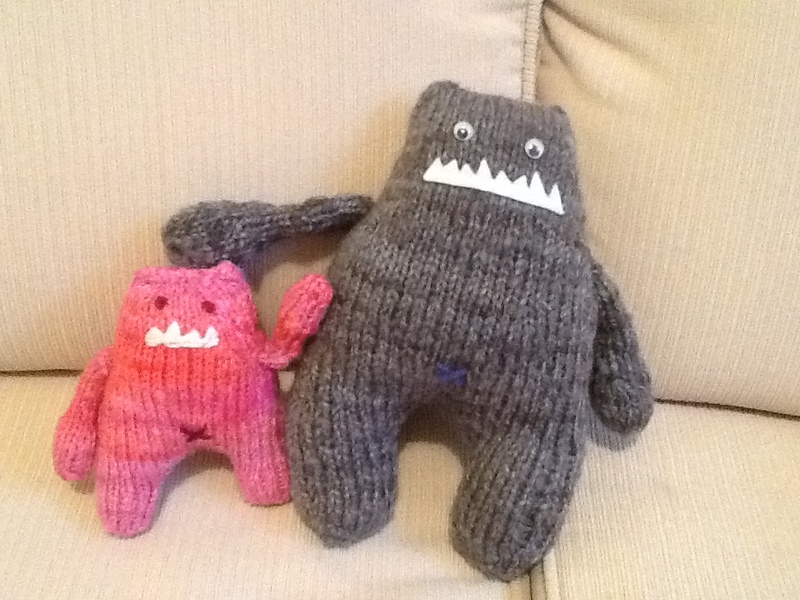 This entry was posted on 18/03/2014 by flicstar in Toys and tagged knit, knitted monster, magic loop.